Corregidor Island named after the Spanish word “Corregir”, which means to correct, the tadpole shaped island was formerly known as "Isla del Corregidor" (Island of the Correction), a penal colony of the Spanish invaders of the Philippines islands. With the defeat of the Spanish by Admiral George Dewey in 1898, Philippines was ceded to the Americans under the treaty of Paris. The island was later designated an American Military reservation in 1907 with the setting up of an army post named Fort Mills. The island was later fortified by the 2nd battalion of the U.S corps of Engineers “H” company in order to secure the approach to Manila Bay. The defense infrastructure of the island was vastly improved with the construction of roads and trails together with concrete emplacements and bomb shelters. The groundwork for the military bastion was completed in 1912 transforming what was formerly a tranquil fishing village in a formidable stronghold. All these improvements were done under the "Harbor Defenses of Manila and Subic Bay” plan, because of Corregidor’s strategic location. After the attack on Pearl Harbor, the Philippines were invaded by the Japanese imperial forces. By 1941, the Artillery batteries of Corregidor Island were sounded to defend the island from the Japanese invaders signaling the beginning of the “Battle of Corregidor”. Knowing that they could take the island with enough determination, the Japanese began to pound the island relentlessly with artillery fire. Control of Corregidor was crucial because the Japanese knew that whoever controls the island, controls Manila bay. 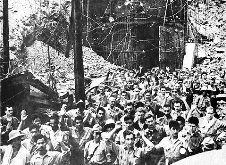 With the defeat of the American forces on Bataan Island, the supply line to Corregidor was effectively terminated. This prompted the Japanese forces to intensify their attacks on Corregidor. Every move made by the American and Filipino forces was immediately subdued with artillery fire. This bombardment on the Island continued on a daily basis until the middle of 1942. On May 5th 1942, the Japanese forces mounted their shore attacks on Corregidor Island. 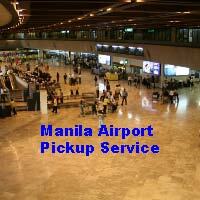 Their landing was met with fierce resistance on the part of the American and Filipino forces. With reinforcements and tanks, the Japanese forces managed to overrun the American and Filipino forces on Corregidor. By May 6 at noon, General Wainwright, Commander of the Luzon Fil-Am Troops made the decision to surrender Corregidor to the Japanese due to lack of supplies. Before surrendering, General Wainwright ceded command of Mindanao and the Visayas to General Sharp. By doing so, General Wainwright was hoping to just surrender only Corregidor to the Japanese forces. However, Lt. Gen. Masaharu Homma, commander of the Japanese forces in Bataan and Corregidor, demanded that all American and Filipino forces in the Philippine Islands must surrender or else all the captives on Corregidor would be slaughtered. With that threat, all forms of organised resistance officially ended on June 9th 1942. Nevertheless, this did not stop the guerrilla warfare that continued until the end of the Japanese occupation in 1945. By January 22nd, 1945, the island was retaken by the American forces after a furious battle. There is more information on Corregidor Island here. 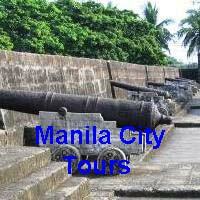 Or if you would like to go ona tour of Corregidor Island look here.